This is the continuation of Healthy Hair from Inside with Oil – Part 1. 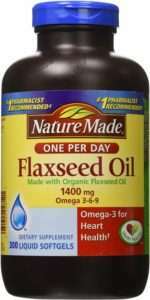 Flax seed oil is a derivative of the Flax plant seeds. They can be found in western Canada. It’s partly oil with the rest composed of fibre, protein and mucilage. It’s a rich source of essential fatty acids, lignans, vitamins and minerals. 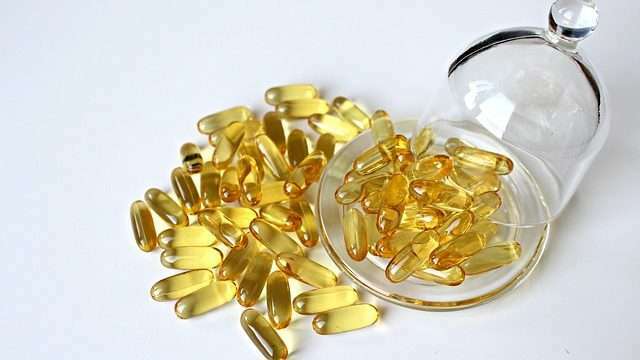 Some of the benefits of flaxseed oil supplements include relieving the problems associated with the excess dryness of hair, brittle hair and split ends. Recommended dosage is one capsule in the morning and one in the evening. You can also buy the seeds, crush and eat them or add flax seed oil to a glass of juice. 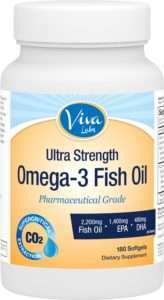 Omega 3 fish oil contains DHA, EPA & ALA. The first two are found in fish while the latter is derived from plants. The fatty acids nourish your hair follicles for stronger, shinier hair. Regular intake will lead to a marked difference in overall hair health within a few weeks. This is a treatment from the inside out and the capsules shouldn’t be opened and applied directly to the hair. It won’t do much and probably smells ghastly. You can however eat fatty fish such as anchovy, herring, mackerel, tuna, salmon, sardines, trout, etc. 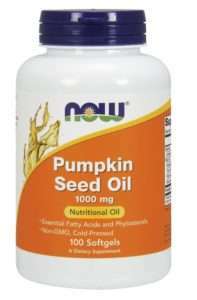 Pumpkin seed oil contains considerable levels of omega-6 and omega-9 fatty acids, vitamin E and K, and beneficial compounds like phytosterols and delta-7-sterine. The 4 major fatty acids in pumpkin seed are linoleic acid (omega-6), oleic acid (omega-9), palmitic and stearic acid (saturated). The supplement regulates metabolism, growth and development and maintains healthy hair and skin among other benefits. It is also indicated pumpkin seed oil blocks the hormone known as DHT or dihydrotestosterone which is responsible for baldness. Suggested dosage is 1,000 mg twice a day. You can also take in a teaspoon of raw pumpkin seed oil. You can grab these supplements with free shipping when you sign up, risk free, for Amazon Prime. Try Amazon Prime HERE. Remember, when taking any supplements, don’t overdo it and stick with the recommended dosage. Taking extras will not make it work faster. Also, check with your doctor before overlapping supplements. If you’re interested in learning more about natural oils and how to use them for specific purposes to achieve optimal length and health, have a look at How to Grow Your Hair Healthy & Long with Natural Oils, a comprehensive guide about natural oils. Available in Kindle & paperback format. Subscribers get up to 30% off. Check it out HERE..